Expert at pulling experts together. It’s all about the partnership — with you, and the rest of the sales, marketing and development team. We understand how to motivate and work with towns and cities for approval, the sales and leasing team and all of the marketing suppliers and vendors to create hallmark projects. 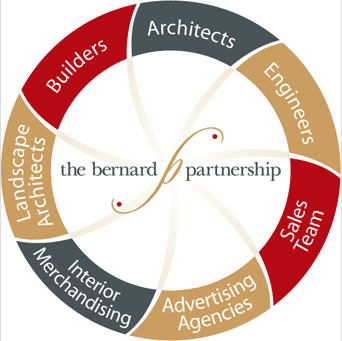 Our boutique marketing firm delivers a high level of expertise and energy to builders and developers, big and small. We're not only a hub. We add value at every stage, every step. Our intuition, objective input and coordination of all the details help everyone to succeed.